It is a time of great political uncertainty. Teresa May is running through fields of wheat instead of running our country, and the UK is about to start the overwhelming task of leaving the EU. The thought of all this may have you troubled, perhaps even to the point of keeping you up at night. If that’s the case and you’re struggling to read this through half-closed eyes, the focus of this months blog on sleep might be of interest to you. In this article I’m going to touch on why sleep is important, the effects of sleep deprivation and more importantly (as this is a blog on a physiotherapy website) how sleep can impact on injury and recovery. Maintaining brain function – Removal of waste products from the brain when sleeping helps keep us sharp and focused during the day. Formation of memories – the memories from each day are processed during sleep, as our subconscious brain can process and organise things better without interruption from our waking mind. Aid immune function – white blood cell counts increase during sleep which helps our immune system fight disease and infections. Growth and repair – Hormones are also released during sleep to aid with muscle growth and recovery as well as regulate blood sugars and appetite. Reduced brain function, with decision making is impaired. Reaction times can slow comparable that of being drunk. Poorer memory retention and capacity to learn. The ability to store information when revising for a test when tired can be reduced. It’s why ‘last minute late night cramming’ isn’t the best tactic. Increased likelihood of getting bugs and colds. Increased risk of diabetes, high blood pressure and heart disease. As mentioned previously, sleep can also play a significant role in relation to injury. When tired and fatigued risk of sustaining injuries such as mechanical low back pain can increase. 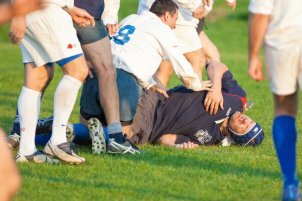 If you play sport you are also at an increased risk of getting injured when tired. Once you have an injury, lack of sleep can also impair healing, by reducing the release of growth hormones and increasing the release of stress hormones which put the breaks on repair and recovery. Sleep is something physiotherapists have paid a lot more attention to in recent years, as it’s been shown that poor sleep can increase the likelihood of injuries turning into long term problems. Sleep can however be disturbed for many reasons. 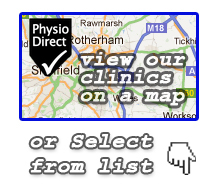 Most of which physiotherapists can help advise on, or point people in the right direction to get help. If sleep is disturbed due to raging nerve pain, then the most appropriate treatment might be some neuropathic medication through the GP. If someone is struggling with flashbacks after an accident, getting some help from one of the psychological therapies might be the best course of action. If the issue is stress, negative thoughts around an injury and not being able to switch off, our advice on ‘sleep hygiene’ might be of benefit. Take time to switch off – Make sure you take an hour or more before bed where you’re not doing anything that stimulates the mind. This means avoiding answering snotty emails, or getting involved in heated arguments on Facebook. Try to unplug from technology during this time. Think about room lighting – In the hour before bed, try and stay in a dimly lit room to get your mind ready. When sleeping, try and make sure the room is properly dark. Avoid stimulants – Drinking caffeine before bed is never a good idea. If you’ve ever been on a night out and gone hard on the Jäegerbombs, you might be familiar with waking up a lot earlier than normal and having very broken sleep thereafter. Caffeine can stop us getting to sleep and can make the sleep we have less restful. Getting enough! – Making sure you get the right amount of sleep for you, depending on your age is very important. Keeping this in mind and not binge-watching series on Netflix into the small hours is a wise move. Trying to avoid naps in the day can also help ensure you feel tired at the right time, and keep you in your sleep routine day to day. In the modern non-stop world, more and more people are not getting the sleep they need. Knowing its value and how to get a better more restful night can make a massive impact on your health, mental function through the day and recovery when injured. Hopefully this article has been of some benefit, and if you feel sleep is something that you struggle with, mention it to your physio at next appointment, as they may be able to make a positive change. Thats it for another month, stay tuned for our next article!